Whenever Google announces a new version of Android, everyone wants to know when they'll get it. If you're an NVIDIA SHIELD Tablet owner, today is your day for Lollipop. That's pretty incredible, as this update comes just days after Google started sending the 5.0 update to most of its own devices. 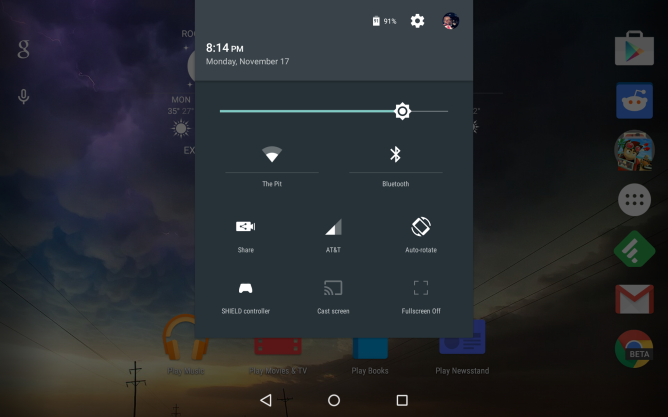 In fact, ST is the first non-Nexus tablet to land the Lollipop update. It's worth noting that, while the update is ready for both the LTE and Wi-Fi versions of the device, NVIDIA is waiting on carrier approval for the LTE update, so it'll be pushed back just a bit later. But when it comes to actually using the device, here's the best part: this makes an already-great tablet even better. It has all the same bells and whistles that ship with SHIELD Tablet, like native screen recording, screen sharing, fullscreen toggle in the quick settings panel, DirectStylus tweaks, and more...plus all the benefits of Lollipop. To be completely blunt, SHIELD Tablet is giving the Nexus 9 a run for its money in every possible way. In fact, if the larger display isn't important, I can't think of a good reason to buy a Nexus 9 over SHIELD Tablet. NVIDIA has proven on multiple occasions that it's dedicated to providing prompt updates, thoughtful new features, and some of the best community support I've ever seen from an Android manufacturer. This company has stepped up in ways that other manufacturers should take note of. Since this is essentially stock Lollipop (which we've covered rather extensively over the last few weeks), we're going to focus on what's different on SHIELD Tablet post-update, as well as take a look at the new SHIELD Hub and the updated GRID experience. For anyone who hasn't had the opportunity to use a Lollipop device and will be pulling ST's 5.0 update today, get ready for a very different experience. Material Design takes over with Google's latest OS build, and it looks absolutely stunning on ST's eight-inch 1920x1200 display. All the goodies that you've grown accustomed to - like the DirectStylus launcher/navigation bar tweaks and ST-specific quick settings entries - are still along for the ride, so the way you use the tablet shouldn't change all that much...everything just looks prettier doing it. It's worth noting that the update erased all of my launcher settings (presumably because this new version is based off the Google Now Launcher, not the stock Android launcher), so be prepared for that. Otherwise, my update went off without a hitch. And SHIELD Tablet is faster than ever after the update. That said, there's still a bit of delay when turning the display on/opening the cover. I'm not sure what's up with that, but it had the same issue on KitKat. It's not super-annoying, but I'd like to see NVIDIA address it in an upcoming update. Other than Lollipop and everything that comes along with it, SHIELD Hub also got a nice little makeover, and NVIDIA opened its GRID Beta program to more people. The two apps have also merged into one, making it incredibly easy to find all available games, regardless of platform, in one single place. 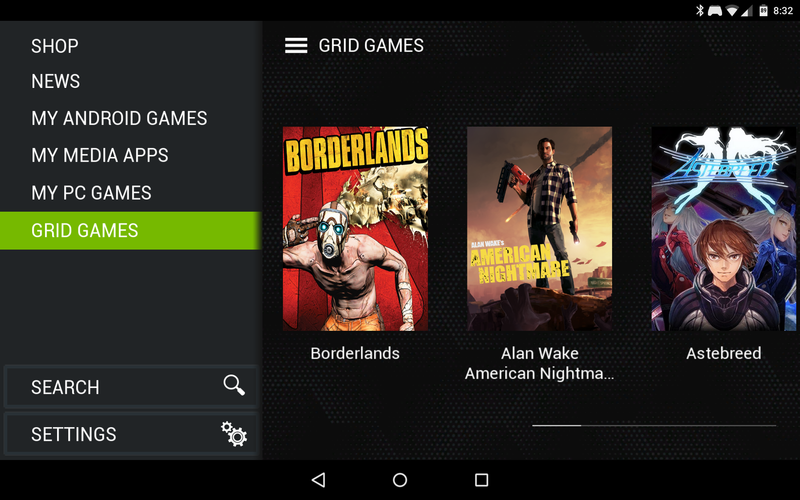 Android games, PC games (over GameStream), and GRID games are all now housed under the Hub app. It's nice. Speaking of GRID, it's pretty damn impressive. I'd used it a handful of times in the past with varying levels of success, but during my testing with the newest beta on Lollipop, I experienced zero issues. No latency, no choppiness, nothing. It's as if the game was running locally on my device...even in console mode while tethered to the TV at 1080p. It's nuts. And awesome. Overall, NVIDIA has knocked it out of the park with this update. They got it out faster than anyone else, kept all of the features that shipped with SHIELD Tablet intact, improved some of the services, and upped the performance on an already killer tablet. If that's not what you want from an Android manufacturer, then I don't know what is. 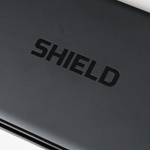 If you're looking for an Android tablet right now, I highly recommend SHIELD Tablet.